ABSTRACT: The attacks on the United States on September 11, 2001 and subsequent military operations in Afghanistan and Iraq created a sharp increase in expressions of national pride and the invocation of “nation” in political discourse. Using the 1996 and 2004 General Social Surveys, we document these changing patterns of national pride, and ask how they affect conceptions of national identity. We report three main findings. First, the data corroborate the conventional wisdom that there was a greater expression of national pride than before September 11, 2001. 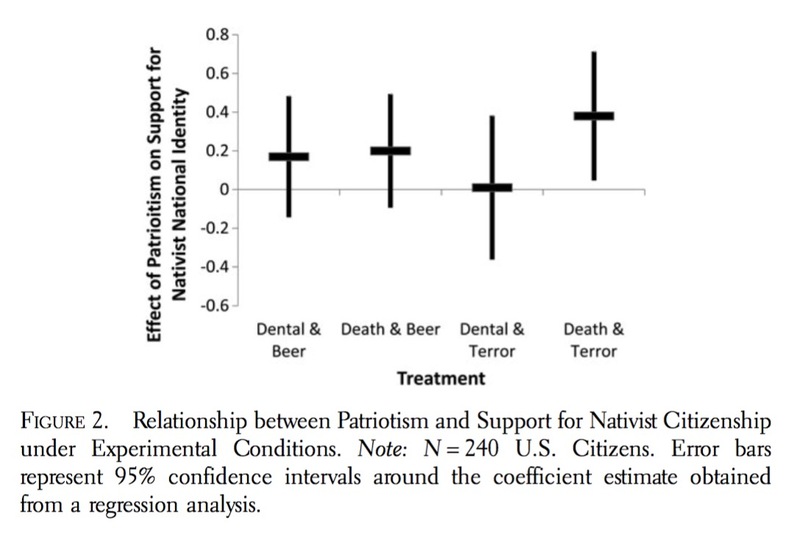 Second, conceptions of American national identity became more nativist. 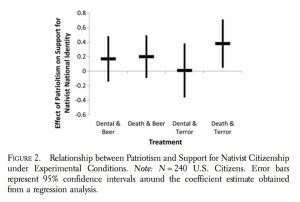 Finally, the conventionally accepted distinction between patriots and nationalists has shrunk; patriots, like nationalists, are more likely to express nativist conceptions of national identity during a time of threat than they were pre-9/11. Our findings have important implications for research on group identification and national identity formation. CITATION: McDaniel, Eric L., Irfan Nooruddin, and Allyson F. Shortle. 2016. “Proud to Be an American? : The Changing Relationship of National Pride and Identity.” Journal of Race, Ethnicity, and Politics 1 (01): 145–76.